Respoke Limited (“SPOKE”, "We", “Us” and “Our”) remain fully committed to the protection of your privacy at all times. The information contained in this policy has been published to inform you of the way in which any Personal Data (as defined below) you provide us with or we collect from you will be used. Please read this information carefully so that you understand how we treat such Personal Data. We will collect, store, use and disclose Personal Data in accordance with all applicable laws relating to the protection of Personal Data. 1) Marketing by us, Respoke Ltd. When you choose not to opt out of 1st party marketing, we may collect your email address, name and order details so that we can tailor our communications with you and send you relevant offers and news via email or, sometimes, by posting you our latest catalogue. 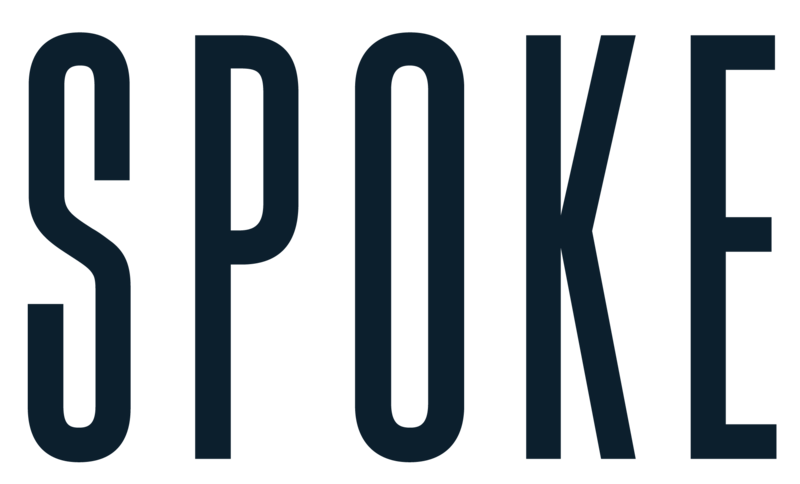 If at any time you wish to opt out of receiving our catalogues and/or emails, email us at hello@spoke-london.com or modify your marketing preferences at any time using the My Settings section of your account, which you can find here: https://spoke-london.com/pages/settings. We also advertise on digital platforms, such as Facebook, Google and Twitter. We use these platforms to reach you and people like you with relevant, targeted offers and updates from Spoke. To turn off targeted ads on any of these platforms, please see the individual privacy settings for each. Our communications are designed to tell you about the benefits we can offer so that you have access to our best deals. We use the information we have about you to tailor the content and try to ensure that the offers are as relevant to you as possible. Under the Data Protection Legislation, this might qualify as profiling. If you do not wish us to use your data for this purpose, please email us at hello@spoke-london.com. We use Zendesk for customer service, which means that, if you raise a customer service ticket with us or return any item, we store your contact and order details in Zendesk. This data is archived after 120 days and this archive is cleared every 24 months. If at any time you wish this information to be removed, erased or not used in any such way, please make this clear in the feedback you provide us with, or email us at hello@spoke-london.com. We may, from time to time, send you a quick survey about your experiences with us or more broadly about your shopping behaviour. We store this information against your profile so we can better understand our customers and use this insight to improve our service and products. We work with the following data processors in order to carry out our marketing activities. From time to time we may use other legally compliant data processors as required. These processors will hold data for no longer than is required to complete the analysis before securely deleting it. All data is only accessible to select, authorised individuals. Wufoo: When you reply to any survey we send, including customer feedback, your responses are stored along with your email address in our survey tool, Wufoo. This enables us to understand how to improve our service and products. Your responses are deleted from Wufoo 24 months after your last order. Klaviyo: We also append this data to the profile we keep for you in our email tool, Klaviyo. This enables us to tailor our communications with you. We delete your Klaviyo profile 24 months after the last time you opened an email from us, or the last time you visited our website (https://spoke-london.com), whichever is later. Your Klaviyo profile also includes your age if you provide it, your sizing information, how you found our website, and information about your orders with us, but does not include your shipping or billing address. RJ Metrics: We also transfer order data to RJ Metrics, our reporting and analytics platform for business performance reporting and analysis. We use this data for as long as is necessary to support our customer service relationship with you, which can be up to seven years, or until you exercise your right to deletion as described below in the YOUR RIGHTS section. Torque: To process each of your orders, we send your order data to our fulfilment partner, Torque. In order to process returns and other customer service requests, Torque holds your order data securely and deletes it 24 months after the order has been fulfilled. Shopify Inc: They host our store. To manage your order and any future customer service requests, we collect and store the details you provide at the point of booking. They provide us with the online e-commerce platform that allows us to sell our products and services to you. Your order data is stored in Shopify’s data storage, databases and the general Shopify application. They store your data on a secure server behind a firewall. JPS Print Consultants Ltd: They receive your name, address and mailing preference details so they can mail out our catalogues for us through Royal Mail and any other recognised mail carrier. Data is shared via secure file transfer protocol and is not stored here for longer than is required to complete the printing process. If you opt out of receiving catalogues by returning your catalogue to the address printed on its reverse, JPS processes your address and stores it in a password-protected file in cloud storage to which we have access, so we can ensure your marketing preferences are updated. Epsilon Abacus (registered as Epsilon International UK Ltd): They receive your name, address, mailing preferences and purchase history for the purpose of sharing in the Abacus Alliance. For more information on how Epsilon Abacus use the data, see above. More2 Ltd: They receive your name, address, mailing preferences and purchase history for the purpose of managing our relationship with data providers, such as Epsilon Abacus. Driftrock Ltd: They receive your email address, marketing preferences and purchase history for the purpose of profiling and audience selection on Facebook. Facebook: If you do not wish to see targeted ads on Facebook, you can update your preferences on Facebook by clicking on the Ads section within Settings on Facebook. Facebook matches email address, marketing preferences and purchase history for the purpose of audience selection for our advertising campaigns on Facebook and Instagram. Google AdWords: They match your email address, marketing preferences and purchase history for the purpose of audience selection for our advertising campaigns on Google Search and Display Networks. For information on how Google ensures GDPR and other data protection law compliance, see here: https://privacy.google.com/businesses/compliance Twitter: They match your email address, marketing preferences and purchase history for the purpose of audience selection for our advertising campaigns on Twitter. You retain at all times the right to access or amend or delete any Personal Data we hold about you or to exercise your right of data portability or to object to, or restrict, the purposes for which your Personal Data is processed on certain grounds. You may also modify your marketing preferences at any time using the My Settings section of your account, found here: https://spoke-london.com/pages/settings. You may exercise this right by making a request in accordance with Data Protection Laws, by emailing hello@spoke-london.com. You may also lodge a complaint with the UK data protection regulator, the Information Commissioner, should you be dissatisfied with the way we handle your Personal Data. If at any time you wish to exercise this right, you can email us at hello@spoke-london.com. To protect your privacy and security we may need to verify your identity before sharing this information. If at any time you wish to exercise this right you can email us at hello@spoke-london.com. To protect your privacy and security we may need to verify your identity before deleting your data. We will seek to act in the best interests of our customers and will not abuse our position of data controller. We wish to be as clear and transparent as possible and uphold any requests for data disclosure or amendment as soon as possible. Due to the nature of data and catalogue printing, when an amendment is made to data it may take up to six weeks for it to become effective, although we will do everything possible to ensure this time delay is kept to a minimum. We take the security of our customers’ data very seriously and this includes credit card information. On our website at checkout, you are taken to a secure page and should always see a closed padlock beside the URL address or at the top/bottom of your browser window. If you choose a direct payment gateway to complete your purchase, then Shopify stores your credit card data. It is encrypted through the Payment Card Industry Data Security Standard (PCI-DSS). Your purchase transaction data is stored only for as long as is necessary to complete your purchase transaction. After that is complete, your purchase transaction information is deleted.All direct payment gateways adhere to the standards set by PCI-DSS as managed by the PCI Security Standards Council, which is a joint effort of brands like Visa, MasterCard, American Express and Discover.PCI-DSS requirements help ensure the secure handling of credit card information by our store and its service providers. To learn more, you may also want to read Shopify’s Terms of Service or Privacy Statement. Unique token per website visit Persistent for 30 minutes from your last visit to our website, this allows Shopify to store information about your website visit for marketing analytics (how you found the website, on which page you arrived, etc). No data held Persistent for 30 minutes from your last visit to our website, this is used by our website provider’s internal stats tracker to record the number of visits. No data held Expiring at midnight the following day (relative to the visitor), this is used by our website provider’s internal stats tracker to record the number of visits per unique visitor. Unique token Persisting indefinitely, this allows us to check whether you have an account you can use to log in to the store. We may use the services of third parties to collect and use anonymous information about your visits to and interactions with our website through the use of technologies such as cookies to personalise advertisements for goods and services. To learn more, or to opt out of receiving online display advertisements tailored to your interests by our third-party partners, visit the European Interactive Digital Advertising Alliance at http://youronlinechoices.eu/. This allows us to store your fit preferences and make it easier to navigate through our available products. We use this cookie to store your fit finder results and display those results in a lightbox once you’ve completed the fit finder process. This cookie is removed as soon as you leave the Fit finder results page or dismiss the popup window. This cookie help us identify you current and previous url that you navigated to. We can then facilitate a link in the page to go back to the previous page without having to click on the “back” button in the browser. We want to monitor the behaviour of the customer in our checkout step process to help improve the usability. Is for this reason we use this cookie when a customer has started the checkout process. Once the checkout process is complete, we store this cookie to help us understand when a customer has completed the checkout process and ordered a product. We use these metrics to help improve the overall experience of our customers. The first time a customer lands in out website, we display a welcome flash message. Once a customer has decided to dismiss this message we store a cookie to make sure this flash message doesn’t appear again.